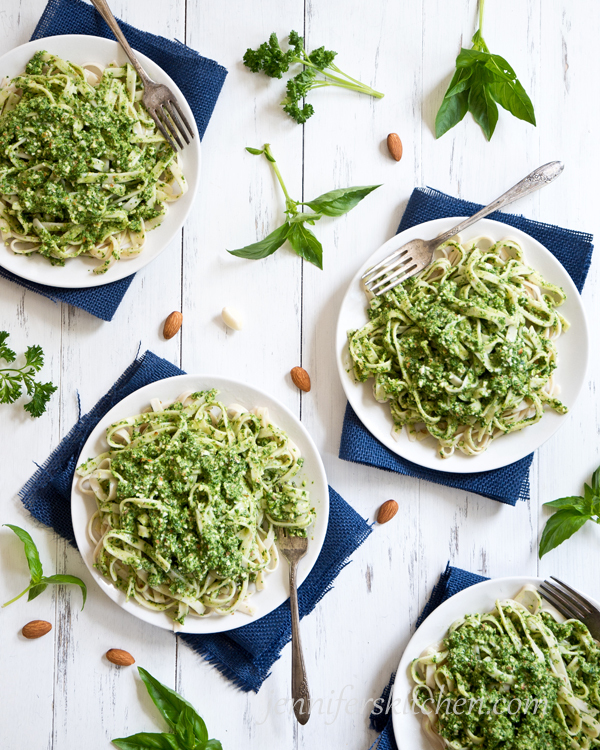 Mmmmm … pasta topped with a flavorful, nutty, fresh-tasting pesto sauce. So delicious and so good for you. 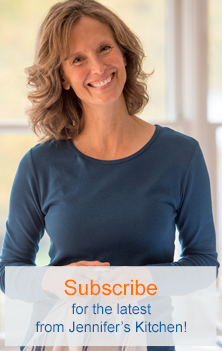 Looking for more low-oil and oil-free recipes? 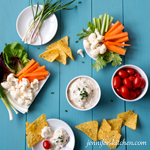 Check out the luscious Coconut Cream Topping, the delicious Skinny Mayo, the amazing oil-free granola, and the many scrumptious dips in my 14-Day Weight Loss Program. I also used gluten-free pasta, which is totally an optional part of this recipe, but we’ve found some gluten-free pasta that is absolutely delicious, and we like it even better than regular pasta. 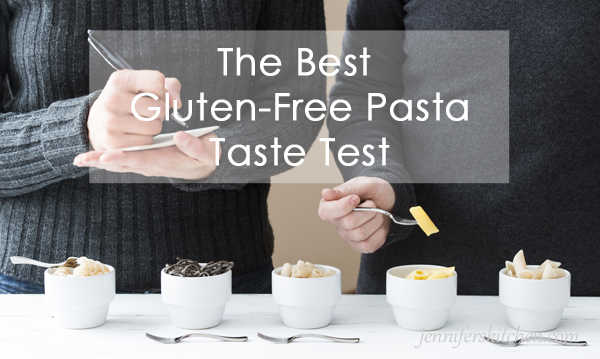 Check out our gluten-free pasta taste test. 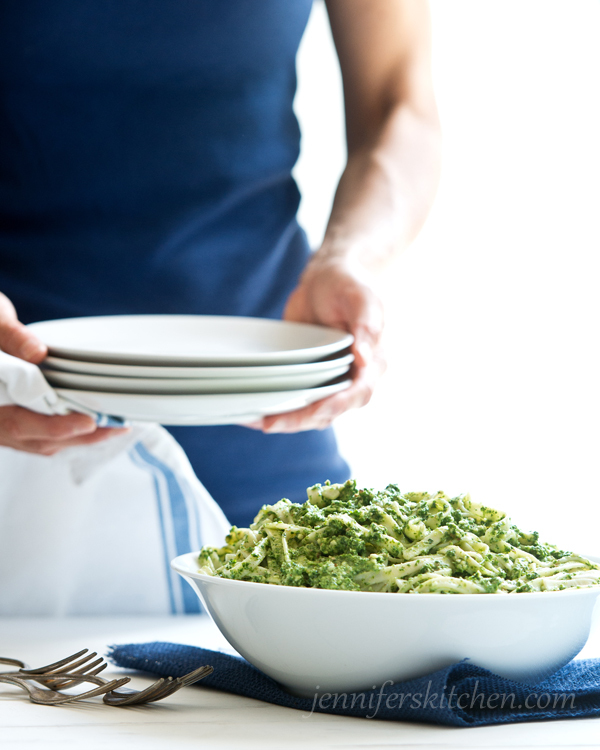 While pasta is cooking, place almonds in food processor and coarsely grind. Add parsley and garlic and process until parsley is almost pureed. Add fresh basil, granulated onion, salt, olive oil, and lemon juice and process until basil is very, very finely chopped. 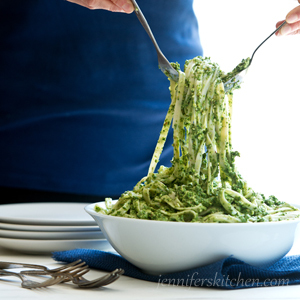 Remove 3/4 cup of pasta water from pasta and add to pesto. Process until mixed. When pasta is done, drain pasta. 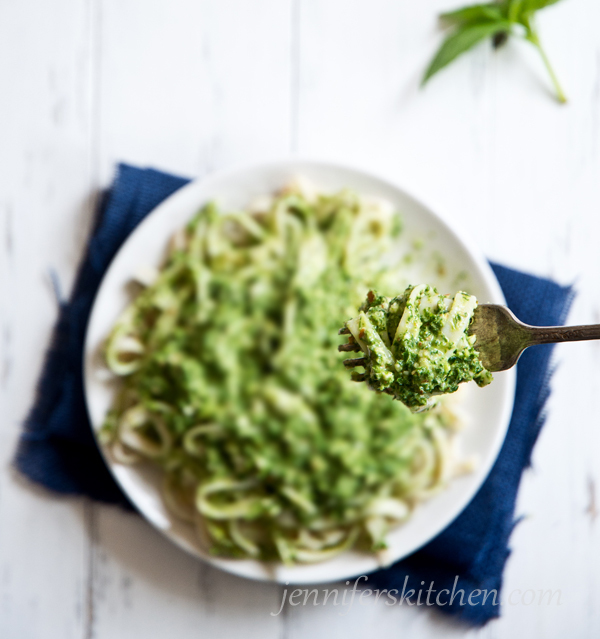 Serve parsley pesto over hot pasta. 1. 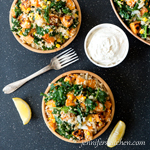 This recipe works great in a 12-cup food processor. 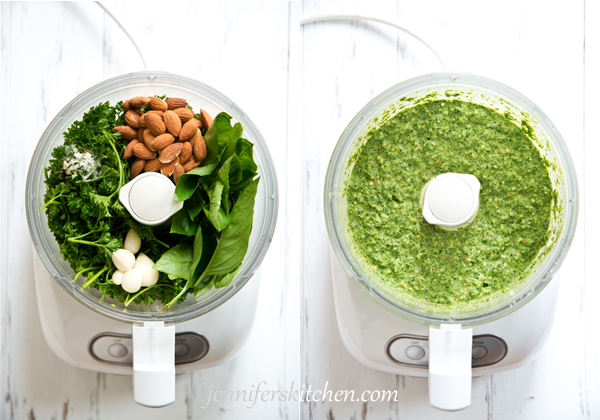 If your food processor is smaller, you may want to prepare the pesto sauce in batches. 2. This recipe generously serves two. 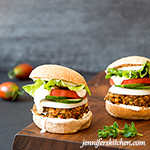 If you’d like to make a double recipe, be sure to make sauce in batches. 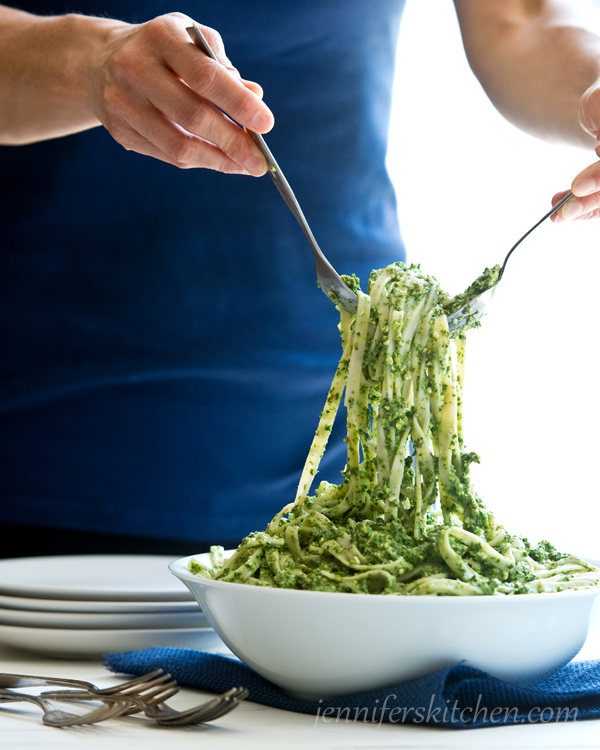 A double recipe of the pesto sauce needs more space than it will get in a 12-cup food processor. 3. Actual hands-on time is less than 15 minutes. The total time you need to give yourself to make this recipe depends on how long it takes your stove to bring water to boil. This looks amazing!! Hopefully going to try it out soon. I didn’t have enough parsley so I used 3 cups basil and 1 cup parsley. It was really good. Yes, yes, yes! Anytime I have enough, I max out the basil.